Fits Vehicles in the Compatibility Chart. Note it is. 2003, 2004, 2005, 2006, 2007, 2008, 2009, 2010, 2011, 2012, 2013, 2014, 2015, 2016, 2017, and 2018GMC Savana 1500, 2500, 3500. 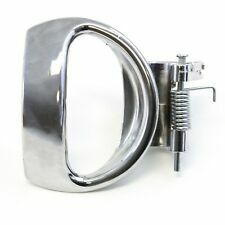 New Driver Side Inner Door Pull Handle Armrest. FITS FRONT DRIVER SIDE (LEFT SIDE). 1987-2004 Jeep Wrangler. PAIR OF INSIDE DOOR HANDLES (Left & Right). Includes:2 Driver Side, 2 Passenger Side. Note it is. 1997 1998 1999 2000 2001 TOYOTA CAMRY. Position:Front (Rear) Left Side. 2013-2017 Nissan Pathfinder. 2014 Nissan Pathfinder (Hybrid). 2013-2017 Nissan Altima. 2015 Nissan Titan. 2017 Nissan Titan Regular Cab. 2017 Nissan Titan Crew Cab (With Black Lock). Interior Door Pull Handle. Fits in the inside of the door, you pull it to close the door. Left Hand or Driver's Door. Many parts. Part Numbers and / or Prices may Change WITHOUT Notice. 2001 2002 2003 2004 2005 2006 2007 Toyota Sequoia. 2004 2005 2006 Toyota Tundra Pickup(Double Cab ONLY). Color: Beige. Position: Left (Front or Rear). Warranty: One Year Warranty. Fits in the inside of the door, you pull them to close the door. Interior Door Pull Handle. Left And Right Sides. Many parts. Part Numbers and / or Prices may Change WITHOUT Notice. Trending at $15.29eBay determines this price through a machine learned model of the product's sale prices within the last 90 days. 2003, 2004, 2005, 2006, 2007, 2008, 2009, 2010, 2011, 2012, 2013, 2014, 2015, 2016, 2017, and 2018 GMC Savana 1500, 2500, 3500. 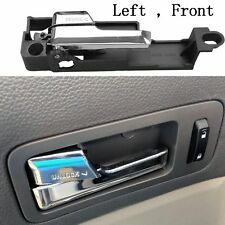 New Passenger Side Inner Door Pull Handle Armrest. FITS FRONT PASSENGER SIDE (RIGHT SIDE). 1997 1998 1999 2000 2001 TOYOTA CAMRY. Position:Front (Rear) Left Side. Color: Gray. Includes:2 Driver Side Handle, 2 Passenger Side Handle, 2 Driver Side Trim, 2 Passenger Side Trim. For 1998-2003 TOYOTA SIENNA Outside Outer Front Left Driver LH Side Door Handle. 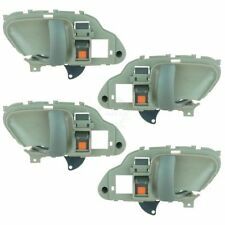 Tailgate Tail Gate Hatch Liftgate Door Handle for 1998-2003 TOYOTA SIENNA. 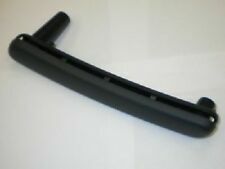 80357 Exterior Front Right Door Handle for 1998-03 Toyota Sienna Passenger Side. Part Number : 12803219 (1x). 2003-2011 Saab 9-3 and 9-3X (except 2003 Convertible). Genuine Saab Parts. Done Right.